Rodolfo Delmonte and Agata Rotondi have presented a paper titled Treebanks of Logical Forms: They are Useful Only if Consistent (download), at the LREC 2012 – ISA-7 Workshop. The abstracts of the workshop and the Delmonte’s presentation are available for download. Con Rocco Tripodi e Vincenzo Pallotta abbiamo creato una startup Text][Mind che ha vinto a livello pronvinciale con una applicazione innovativa chiama SMASRTREAT. 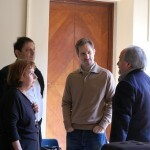 Rodolfo Delmonte, Rocco Tripodi, 2011. Linguistically-based Reranking of Google’s Snippets with GreG, in “Advances in Distributed Agent-based Retrieval Tools: Studies in Computational Intelligence, Vol. 361 – Pallotta, Vincenzo; Soro, Alessandro; Vargiu, Eloisa (Eds. ), Springer, 59-80. 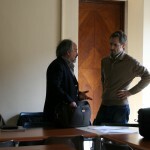 Rodolfo Delmonnte and Vincenzo Pallotta, 2011. Opinion Mining and Sentiment Analysis Need Text Understanding, in “Advances in Distributed Agent-based Retrieval Tools: Studies in Computational Intelligence, Vol. 361 – Pallotta, Vincenzo; Soro, Alessandro; Vargiu, Eloisa (Eds. ), Springer, 81-96. Chapter 5, ISBN 978-953-307-322-4, Publisher: InTech, June 2011. Suhel Jaber, Sara Tonelli and Rodolfo Delmonte, 2011. “Venetan to English machine translation: issues and possible solutions”, in Bernadette Sharp, Michael Zock, Arnt Lykke Jakobsen, Michael Carl(eds), Proceedings NLPCS, Copenhagen. R. Tripodi, R. Delmonte. 2011. “Linguistically Based QA by Dynamic LOD Access From Logical Forms”, KEOD, IC3K, Paris.